I've been losing subs for three weeks now at a constant rate of 2 per day. What the hell Youtube? Fix your damn bugs! Hi, I'm in search of inspiration. Feel free to give me some. TiitanX and EmotionOfRage like this. Creative or survival? If you want a project on main, Yogs and I can be quite the idea-makers! Was talking about my music. Hello. I'm back from France. Tallpines and SimonFCDallas like this. I love this new background of the website. Nobody will ever understand how much I hate facebook. Tallpines, Takhz, shai12345 and 1 other person like this. I feel with you brother. I truly do. Tallpines, shai12345 and tchand like this. The new logo looks cool, I just don't like the orange (but that's just my opinion). Looks like the ps4 is gonna be awesome. tchand and RyanRugenus like this. What's snow? Where I come from, we got this blue stuff, called rain. 2 years on Imdeity! It's been a wonderful time, thank you all! tchand, queenofheart3, Gawkan and 1 other person like this. Truth be told, I don't like the new Imdeity logo, and the gray background. lilgrubs and Arwenden like this. I like the logo, just not the gray background, i liked the one two times ago the best so far, but i like the logo. What i would like? Nothing modern, it doesnt fit the server. It would have to be warm, elegant with a bit of badass. 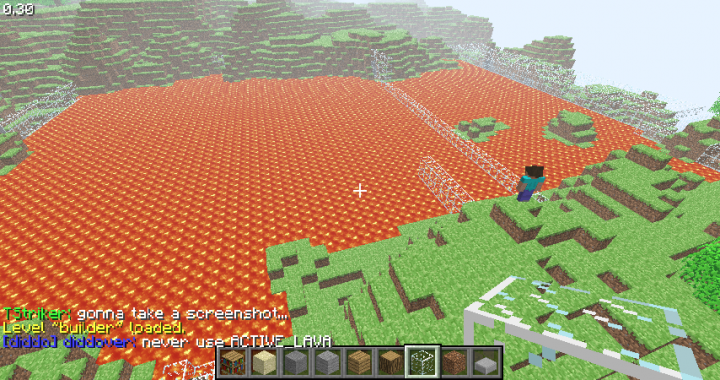 Oh and a view of spawn in the bg. Who doesnt love that? Putting the spawn in the background is possible.. But then only the top-left corner would include the castle. I can; t make the banner too wide, since people have different screen resolutions etc.. I'll see what I can do in a couple of days. Thanks! Appreciate it :) Ps. It's still not really modern... I used an "old" font on purpose heh. 4 more days until I hit the '2 years on imdeity' mark. I wonder what will happen. BigDeer, KiddieWish, Rmarmorstein and 1 other person like this. Damnit i'm still a month off. There should be a new forum achievement, I guess. C,lassic is back up though! it is?! That's amazing news. http://nl.twitch.tv/mergimmio This dude is an amazing streamer, check him out! Operator of Imdeity Classic and Member of Imdeity Kingdoms.